Here at B&K Timber, we pride ourselves on supplying bespoke wooden gates countrywide, with free delivery to the UK mainland. Although we do distribute around the country, here are some of the most popular locations for our gates. You can build your own gate by taking a look at our ‘Gate Builder’ tool, and don’t hesitate in contacting us if you have any questions. Hardwood gates in Staffordshire have become very popular! This is because they are made to amazing quality and precision that is unique to any style of home. We will give you a bespoke service that suits your measurements and requirements. Based in the Staffordshire area, we regularly provide our bespoke, handcrafted gates throughout this area. Take a look at our gate builder for more information, or contact a member of our team. Our supply of gates in Crewe has become increasingly popular over the years due to the amazing quality and reliability of our gates. We have a fantastic range for both driveway and garden gates at affordable prices. Looking for the best gates in Cheshire? We can give you the best at BK Timber to transform your driveway or garden! Use our online measuring guide and gate builder or ask our joiners to make a bespoke one for you! Choose us for the best supply of hardwood gates in Cheshire! We have a wide range of timber gates to choose from including garden and driveway gates. Use our online measuring guide and build your own hardwood gate to have it delivered straight to your home or property! Here at B&K Timber, we provide a wide selection of driveway gates, with free delivery in Manchester. Whether you're looking for a simple gate for added privacy or something more detailed we'll have a style to suit every property. Garden gates are an important part of your outdoor space; find the perfect garden gates for your Manchester home with UK Gates 4U. We supply a wide range of bespoke, handcrafted wooden gates with free delivery to mainland UK. We supply driveway and garden wooden gates with free delivery throughout the Manchester area! Browse through our wide range of gate styles to find the perfect design for your home or property. Searching for driveway gates in Birmingham? We stock a wide selection for you to choose from, all with free delivery. Take a look at our gate builder to see our range of styles - all made bespoke to your measurements. We manufacture and supply a wide range of garden gates with free delivery throughout Birmingham. Take a look at our gate builder tool, where we have a variety of garden gate styles for you to choose from. 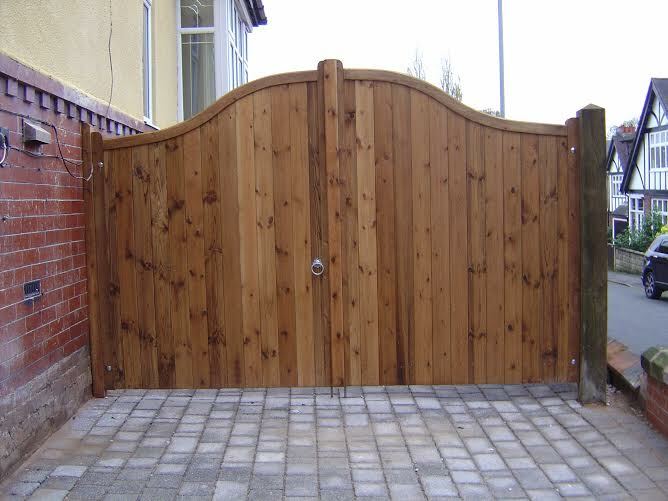 Searching for wooden gates in Birmingham? We offer free delivery of our handcrafted, high quality, bespoke wooden gates throughout Birmingham and surrounding areas. Use our gate builder to choose and get in touch if you have any questions.